Transportation is always the big challenge for Canada’s northern communities. Reliance on winter roads when the water routes are filled with ice offers a limited and expensive means of shipping goods and materials in and out of these remote Canadian communities. And establishing a recycling program up north similar to southern Canada is a challenge. Poster promoting recycling initiative in St. Theresa Point. The idea arose when MARRC hosted meetings through Manitoba Conservation with various Producer Responsible Organizations (PROs). The issue at hand was to assist with the recycling of used oil products, derelict cars, tires, batteries, electronics, MMSM products, etc. 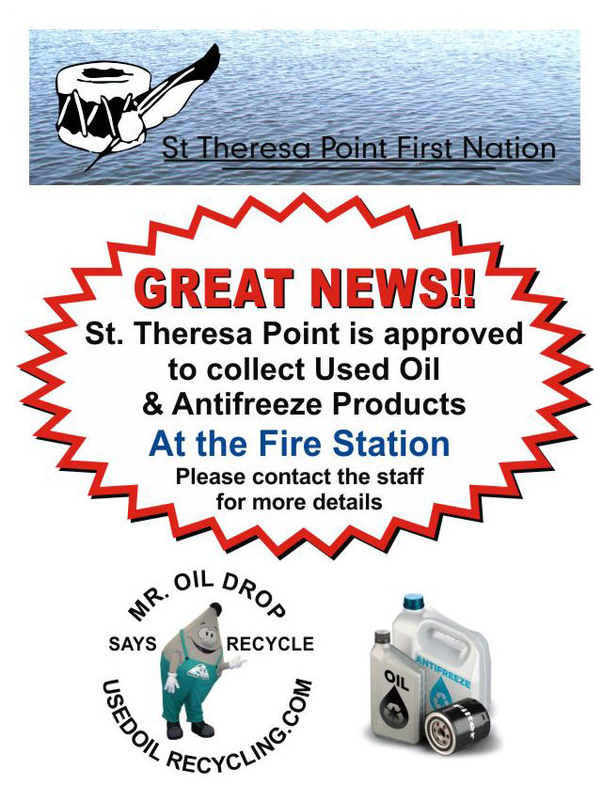 Using St. Theresa Point as the Pilot Project, MARRC facilitated the licensing, purchasing, transporting and installation of a used oil burner and storage unit for the community. 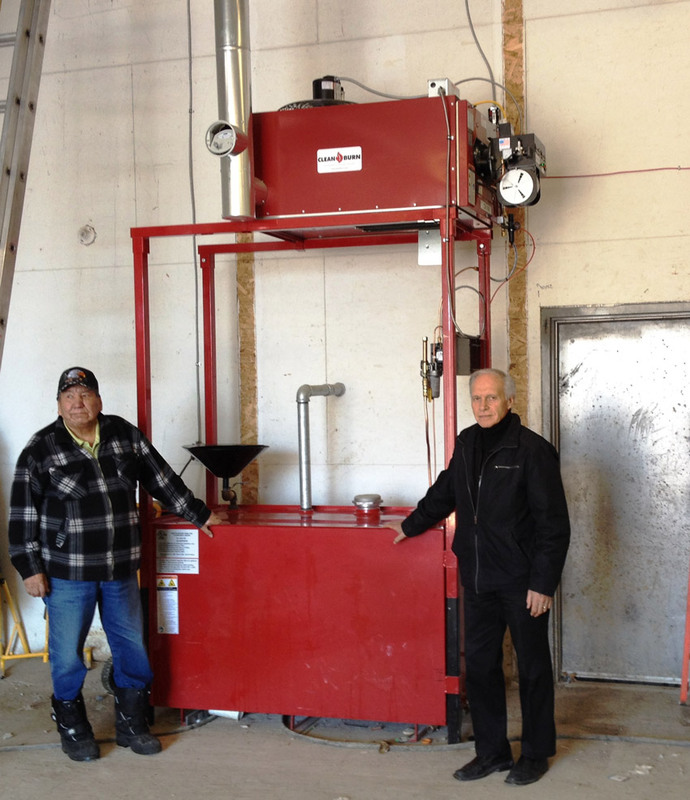 Now installed in the Municipal Fire Station, the burner, fuelled by used oil collected in the area, heats the building in winter assuring that emergency and maintenance vehicles are housed in a warm environment and ready to respond quickly. Quebec, too, has far-flung communities in the north accessible only by water or air. But their recycling needs remain the same as the south. Partnering with four other EPR organizations and the Kativik Regional Government, SOGHU participated in a unique recycling pilot project from September 29 to October 7, 2015. It began in the Port of Montreal. 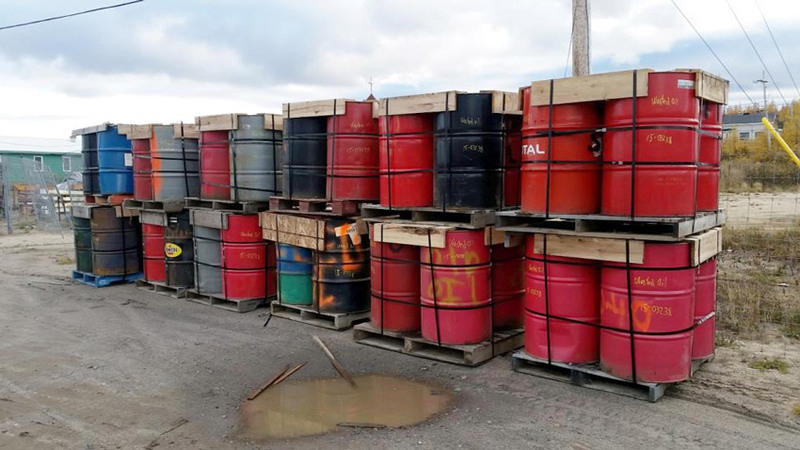 Approved collection equipment to be used by three northern Quebec communities was loaded on a ship. Then followed a two to three week voyage with the ship stopping and off-loading the equipment in Salluit, Kuujjuaq and Kuujjuaraapik. Local people along with specialized technicians supplied by the Partners supervised the collection, sorting and readying of the recycled products for shipment back to Montreal. 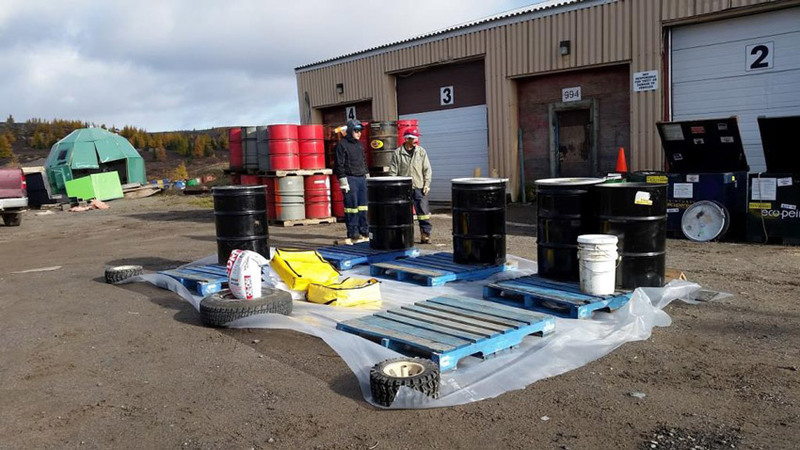 The SOGHU collection numbers were over 14,000 litres of used oil; over 1,000 litres of glycol plus hundreds of used filters and plastic containers. Collection point in one of Northern Quebec communities (Nunavik).